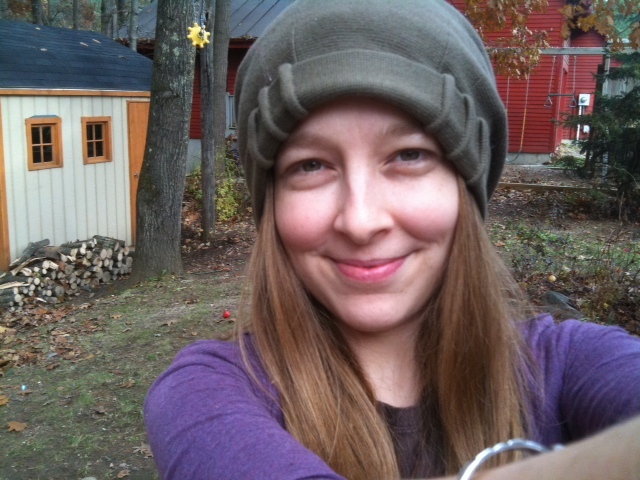 One thing I’m really excited about this year is that I grew enough garlic last year to save my own seed for planting, AND have enough to last for the colder months! It feels very satisfying to be able to grow something that I use so much, and be able to continue planting it year after year. 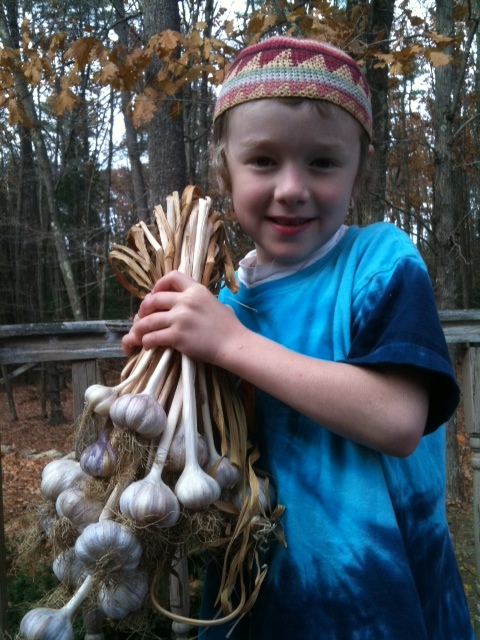 One fun thing about garlic planting is that it’s one of the only things we plant in the fall (besides flower bulbs), which is great if you want to get a last gardening fix in for the year. Prepare your beds by digging up the soil, removing weeds, and adding compost. 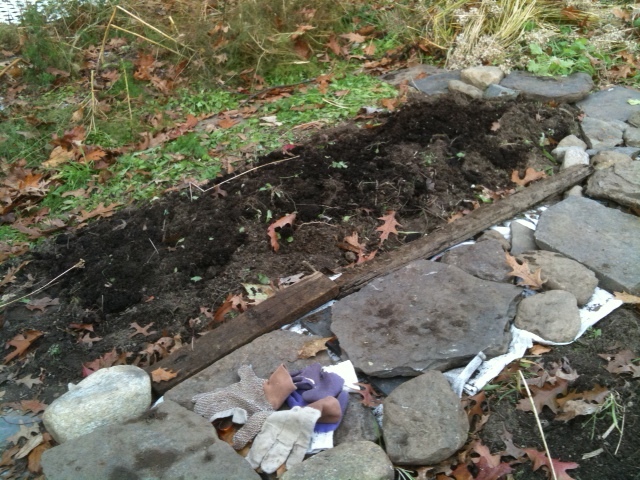 Then dig holes about 3-4 inches deep, 3 inches apart, in rows 3-4 inches apart. 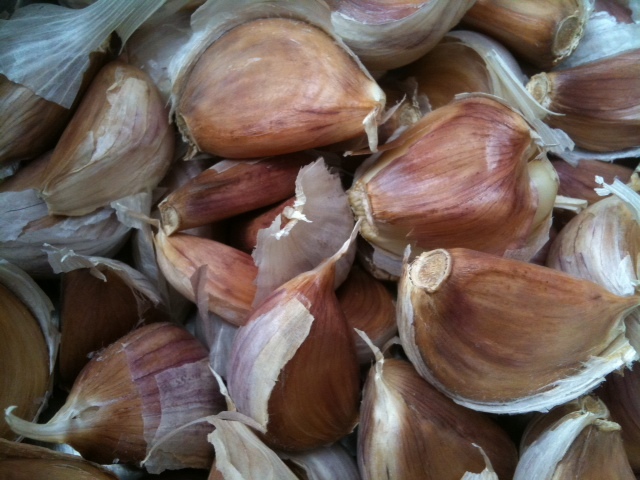 To prepare the garlic for planting, you must break it up into cloves (see above picture). We planted over 150 cloves this year, a new record for us! Plant your cloves, one in each hole, root side down, then cover over with soil and you’re good to go until next spring, when garlic will be one of the first plants to come up! You can mulch your galric patch with straw-bale hay if desired to keep the weeds out and moisture in. 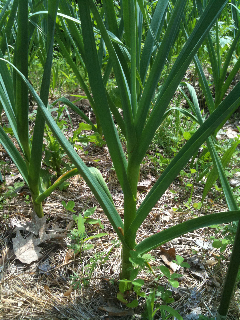 In June you will have scapes (premature garlic flowers) to harvest, then in July you will pull up the whole plant to use for cooking and medicinal purposes, as well as for planting the next year. There are so many medicinal uses for garlic, but the one that always comes to mind first is the immune-enhancing quality of garlic. Allicin, one of garlic’s more well-studied constituents, is scientifically known to be a powerful antioxidant. In addition, garlic is used to raise the white blood cell count, lower cholesterol, shrink tumors, and improve circulation. Garlic has anti-viral and anti-bacterial properties, so load up in the fall and winter months by adding it to your favorite soups and cooked dishes. Chopping it finely and mixing with olive oil and your favorite fresh or dried herbs (aka making pesto), and then spreading it on your favorite toasted bread, is a great way to eat it raw (increasing the medicinal effect), especially if you feel a cold coming on. As for me, pretty much everything I make has to start with garlic, or onions. I mean, I am Italian, you know!